Digital transformation is creating important changes in the mortgage industry. With increased self-service, it has put immense control in the consumer’s hands. Digital mortgage solutions promise cost savings, convenience, and faster, more efficient processing – an attractive proposition that home loan buyers have embraced. This is evident from the fact that digital mortgage lenders grew their market share from just 2 percent in 2010 to 8 percent in 2018, according to a report by the Federal Bank of New York. Today, there are more than 3000 mortgage-related websites in the US alone, including online lenders, marketplaces, brokers, comparison sites, and mortgage technology providers. It’s changing the shape of the mortgage market – creating new challenges, opportunities, and intense competition for both banks and non-banks. This article highlights the key trends driven by digital transformation and what they mean for companies in the mortgage industry. With mortgage-related information being easily accessible online, home loan buyers can compare alternatives, check prices, read reviews, etc. to make informed loan buying decisions. Customers now have unprecedented choice and bargaining power, which means mortgage companies will need to work harder to improve their competitiveness, provide better options for customers, and increase their online presence. A rising number of non-banks/NBFCs that offer online mortgage are grabbing market share in several countries. In the US, some of the largest lenders are non-banks, such as Quicken Loans, Freedom Mortgage and Loan Depot. Since the Great Recession, banks in the US have been subject to strict regulation and face several limitations in mortgage lending that non-banks have been immune to. In addition, non-bank mortgage providers specialize in loans, helping them provide more personalized and customer-friendly services than banks. While non-bank mortgage providers are currently less regulated than banks, regulators have increased scrutiny in the recent years. The Know Before You Owe (KBYO) disclosure, which came into effect in 2015, ensured that online mortgage sites provide sufficient information to help consumers make informed financial decisions. As the online lending space evolves, there will be more regulation to create a safe market for borrowers and investors. Digital mortgage providers, including non-banks, will need to stay agile and adapt to future regulatory changes or reforms. The digitization of mortgage has given rise to a slew of technology providers that focus on one or more areas of the loan process, such as CRM, asset verification, compliance, and analytics. 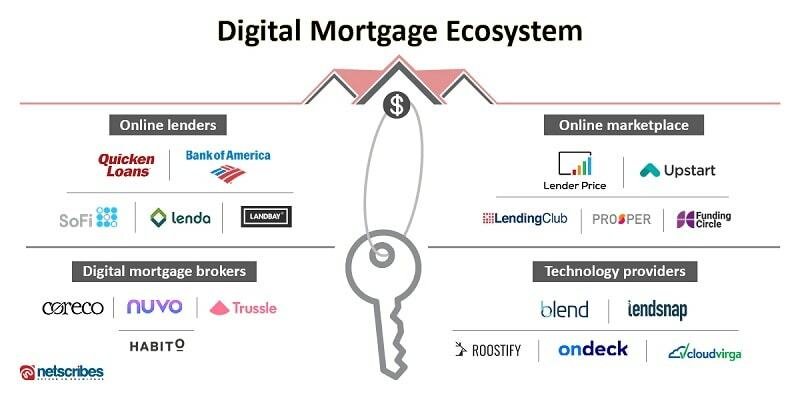 Then there are digital mortgage platforms that integrate these capabilities to provide a seamless experience for borrowers, lenders, and other third-party services. A customer-facing platform typically allows consumers to fill their applications online, while an enterprise-facing platform calculates risk, checks compliance and automates tasks to help companies close loans faster. The rapid adoption of e-mortgage services presents the opportunity to minimize errors and improve operational efficiency through the use of big data analytics. Using analytics software, savvy mortgage providers are getting better at assessing risk, determining loan eligibility, and providing more customized options for customers. These products use algorithms that analyze a broad range of customer data, including location, financial history, education and so on to enable better lending decisions. Despite the rise of digital, customer satisfaction in the mortgage industry is declining. According to a study by J D Power, 43% of mortgage customers applied digitally in 2017, versus 28% in 2016. However, satisfaction among customers applying online has declined by 18 points year-over-year. This indicates that when it comes to providing a smooth customer experience, digital mortgage solutions still have a long way to go. 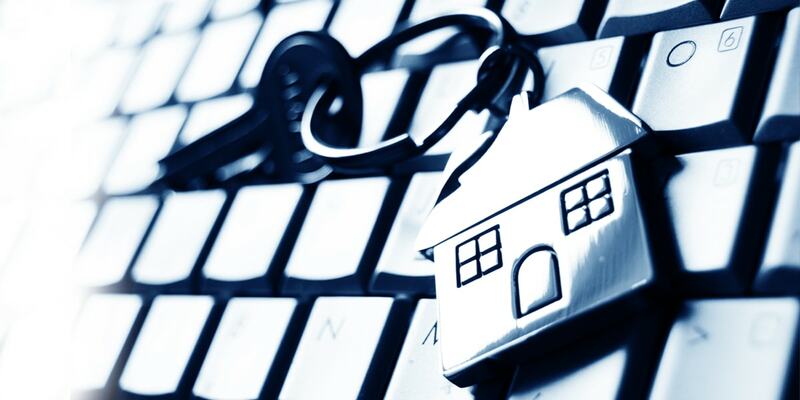 It’s clear that the Internet is fast becoming an important channel for mortgage providers. Rapid technology innovation in this space has led to increased competition from new types of online mortgage services and has created a strong need for differentiation and a clear value proposition. A seamless, personalized loan process with a digital experience will be key to providing a substantially differentiated product and competing more effectively. More steps need to be taken towards understanding the mortgage buying journey and what customers expect from mortgage providers. The proliferation of new entrants and rapid technology innovation means that companies need to constantly keep track of the market landscape to identify threats and opportunities for growth. It’s these insights that will help mortgage providers to enhance their offerings to suit customer needs, lower defaults, and increase profitability. For detailed market and competitive analysis of the digital mortgage landscape, contact [email protected].